8 reasons to choose waterproof decals - And outwit Mother Nature! » 8 reasons to choose waterproof decals - And outwit Mother Nature! Mother Nature likes to put our customers’ labels to the test. 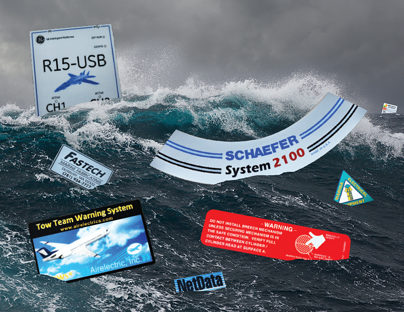 Just about every industry imaginable needs waterproof decals that must withstand fierce tempests and extreme environments. Here are 8 reasons to choose permanent adhesive labels that outwit Mother Nature! Large construction vehicles work outdoors 24x7 in harsh weather conditions. Waterproof decals for boats must withstand continuous saltwater immersion. Labels on aircraft components must withstand extreme environmental conditions and comply with strict industry regulations. NFI Corp.’s waterproof decals exceed industry standards in nearly every category, because we use materials that are thicker, longer lasting and more durable than those used by other printing companies. This means the colors and graphics will resist fading. Meanwhile, our aggressive engineered adhesive will significantly outlast other products. #3. So resistant, you could call them obstinate! Who wants labels that fade in sunlight, break apart after a single cleaning, or fall off during use? Our custom waterproof decals can take anything you throw at them: chemicals in industrial settings, abrasive cleaning agents, harsh weather conditions, and even saltwater immersion for marine use. In many cases, kitchen equipment manufacturers and other companies are required to use durable labels that stand up to cleaning agents . Our top-quality materials actively resist mildew, mold and rot, making them perfect for diverse applications. Our engineering-based designers will team with you to create a waterproof decal, custom label, nameplate, faceplate, membrane switch, or other graphic solution that exactly meets your requirements. Our in-house designers will ensure your graphic solution looks as great as it performs! We can print your custom labels on many different types of materials (depending on your application’s requirements) with an unlimited choice of colors and a variety of finishes including matte and gloss. 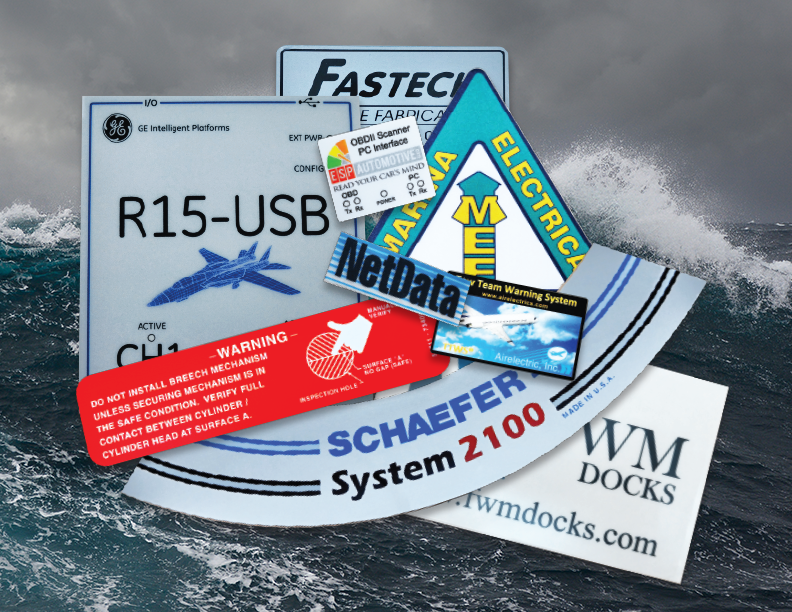 What kind of waterproof decal, custom label, sticker, tag, nameplate, faceplate, or membrane switch do you need? Just let us know, and we’ll deliver. Our engineering-based designers will help you select colors, sizes, shapes, materials, styles and levels of protective layers and engineered adhesive to support your application’s unique requirements. For more than 40 years, NFI Corp. has provided top-quality custom labels (and much more) to businesses around the world. Our expert team will efficiently design, print, and deliver your custom waterproof decals on time and on budget. Our efficiency is due to our enterprise-wide quality system, called Design-to-Delivery. This ensures we stay focused on quality at every step in the process – and this means you can rely on us for an affordable, quality product; a streamlined process; and on-time delivery. Learn more about our Design-to-Delivery quality system. Click HERE to submit a request for a prototype. Call us at (800) 999-8900 to get a quote. Our customer service reps are available Monday through Friday, 8:00 am to 5:00 pm Eastern.